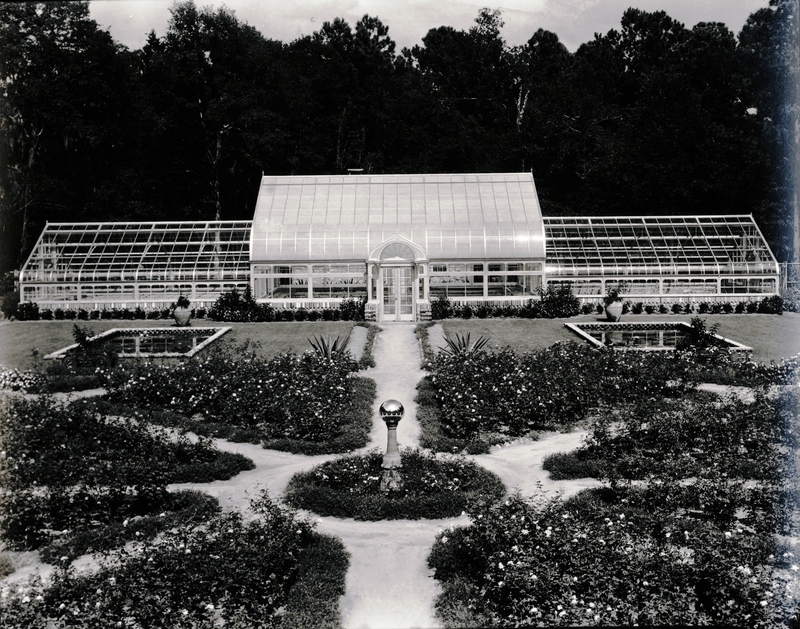 Walter and Bessie Bellingrath contracted with New York firm Lord and Burnham to build what was termed a “conservatory and palm house” adjoining their Rose Garden. Lord and Burnham was famous for designing and building some of America’s most well-known conservatories. The Bellingrath design included a brick building with a tall chimney situated behind the Conservatory to provide heat for the interior. At that time, an oil fired boiler was used to feed underground steam pipes that heated the planting beds. Materials would be shipped on November 5th of the same year.